. Tested to BSEN 1177.1998 safety standards, making it suitable for use in Childrens play areas or as an environmentally friendly base for Chicken Runs or enclosures.
. Produced from 100% natural and environmentally friendly sources. Your chickens will love scratching around in wood chip to keep them entertained and encouraging natural foraging behaviour. 1 bag covers approx area of 1 square feet at a depth of 5cm and will only need changing maybe twice a year depending on volume of hens to the covered area. 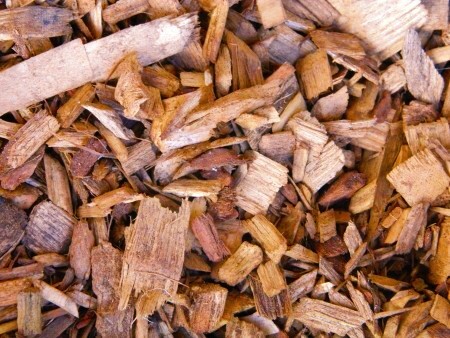 Bark and softwood will degrade quickly and not withstand weather changes well. Delivery: Each bag weighs approx. 15-18kg. Therefore we generally despatch this on a pallet. It costs the same to send 4 or 14 bags on a pallet. Alternatively we can use our own van to deliver the woodchip to you – please contact us using the details at the bottom of the page for a quote.